The group that posted the pictures is an evangelical foundation set up to spread Christian message via mobile phone texts. Father Rafał Jarosiewicz from the Koszalin SMS Foundation from Heaven was in the news again last year when he started driving around Poland with a mobile confessional box. - With reporting by AFP. 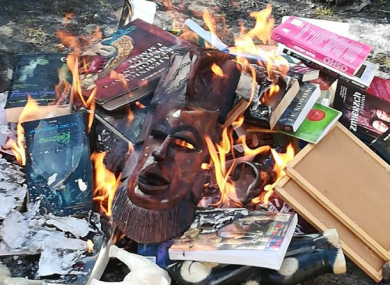 Email “Catholic priests in Poland burn Harry Potter and Twilight books ”. Feedback on “Catholic priests in Poland burn Harry Potter and Twilight books ”.